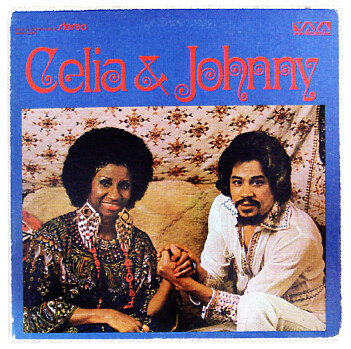 One of the many great recordings that Celia and Johnny cut together during the 70s – in a really great combination that had her soulful vocals giving a new injection of energy to the Pacheco sound of the time! The result was a great blend of new styles and respectful traditionalism – one that comes off especially well on this record, which features some great work on tres by Charlie Rodriguez. Titles include the tasty groover "Quimbara", plus "Tengo El Idde", "Toro Mata", "El Tumbao Y Celia", and "Lo Tuyo Es Mental". © 1996-2019, Dusty Groove, Inc.